Below is my personal account of my current assignment. To read more about how the images were made and the technical specs behind them, please visit my post on the Outdoor Photographer magazine blog. Flying overhead in the only helicopter available in Palau, I was able to really gain perspective and get a sense of scale – not only of the place I was in, but the importance of such a pristine ecosystem. I found the aerial flight incredibly moving. I have long enjoyed complicated landscape photos, where the scene is incredibly busy but somehow organized and elegant in its design. In nature, this happens often and with perfection. 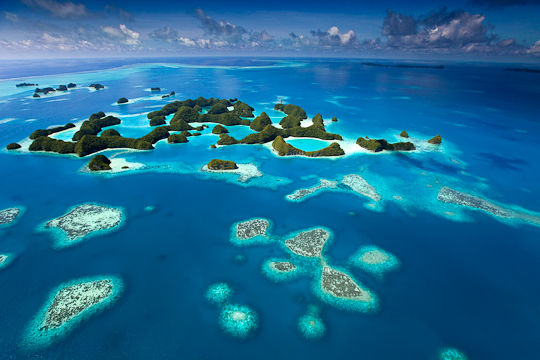 This image of a pristine coral reef was photographed in some 30 feet of water, however at the top of the frame, you can see the trees of the rock islands. 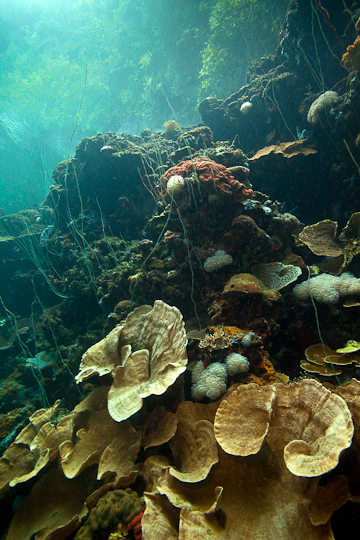 At first they appear like more coral, but soon you realize they are above the surface. Photos like this remind me that all worlds are connected. 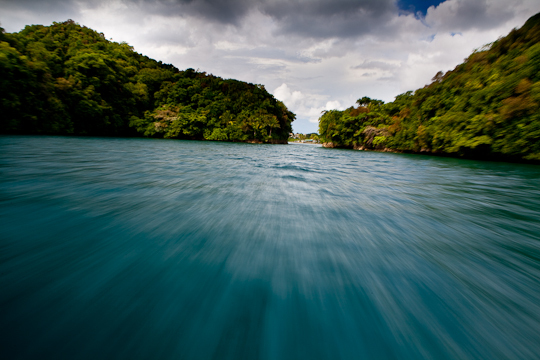 Speeding through the islands on a high-powered, small craft was typically the most comfortable part of the day, as the wind cut through the humidity keeping me cool in the warm, dense air. A geographical and evolutionary fluke, these jellyfish are trapped in a land-locked lake only a few hundred feet from the open ocean. Thousands of years ago, however, they became isolated in an environment from which they could thrive on the abundant plankton. 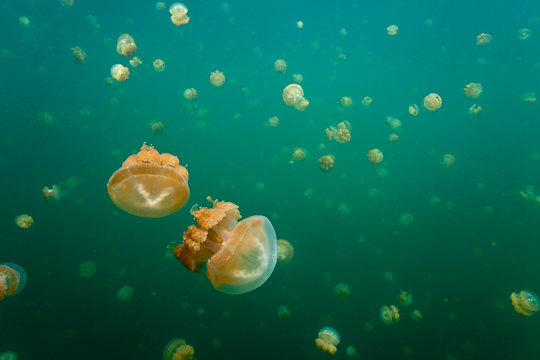 Over time and with no predators, they evolved to become stingless jellyfish and now a popular place to go snorkeling with these mysterious and peaceful creatures. This entry was posted in photography, underwater. Bookmark the permalink.